Travelling the world, discovering other cultures and traditions, is a wonderful experience, known only to the true explorers. This article is for those who want to see themselves in those places that marked some pages for themselves in the History. Visiting those historical places is not just a mere packing your luggage, taking some photos, buying air tickets, and spending time there. It is more than that. It means to travel back in time and conceive the historical happenings in those places. We can get the pictures of those historical monuments and places, from anywhere. But, the real feel of staying there can only be acquired by being there. The world is filled with many such mind blowing historical sites to see. These are breath taking and incredible historical places built by the ancient civilizations, and it is real hard to narrow down the best historical travel destinations to visit. This culturally rich country and an ancient tourist spot in the world, has played as host for many visitors from ancient Greece and Rome. The must visit places in Egypt include Great Pyramid, Sphinx of Giza, Valley of the Kings, Egyptian Museum, Luxor and Karnak, Abu Simbel, and Saqqara. This Italy capital city is homage for nearly 3 thousand years of globally influential art, architecture and culture on display. The city has ancient ruins such as the Roman Forum and the Colosseum. Vatican City which is the headquarters for Roman Catholic Church is place for St. Peter’s Basilica and the Vatican Museums. This ancient archaeological site is the capital of the Nabatean kingdom, dating back to around 300 BC. Called as ‘Rose City’, for it is the place of tombs and temples carved into pink sandstone cliffs. The most famous structure in Petra is the Al Khazneh temple. Taj Mahal was built between 1632 and 1653 by the Emperor Shah Jahan in the love of his wife Mumtaz Mahal as a mausoleum and monument. 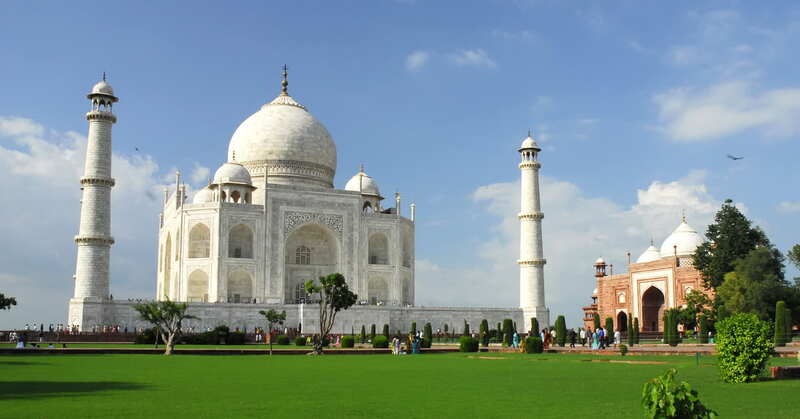 It is one of the Seven Wonders of the World and is named as the UNESCO World Heritage Site in the year 1983. It is the former temple of goddess Athen, whom the people of Greece considered as their patron. The construction of the temple began in 447 BC and the temple is opened in 432 BC. Located in Andes Mountains in Peru, the location now serves as the impressive reminder of the Incan Empire. The site is abandoned a hundred years later after its construction in 1462 AD. The abandonment of the location has saved it from plunder and destruction by the Spanish conquistadors. The wall is mainly built for the purpose of protection of the Empire of China from the Xiongnu attacks in the 5th century BC. It is one of the Seven Wonders of the World. This stands as the significant remark on the impressive feat of the engineering in those times. We came across a cool web page that you simply may possibly get pleasure from. Take a appear in case you want.